This workshop in Severn, Maryland, was built by the homeowners as a separate workshop for building projects and storing big kid toys, like ATV’s, 4-wheelers , classic cars, boats, and motorcycles. They needed a safe and secure building to protect their growing collection from the elements. The structure had to be unattached from the home and strong enough to withstand heavy winds, rain, or snow. Starting of the new workshop flooring in Severn Maryland. Because the ground in the area is mostly comprised of sandy soil, which is common in the Chesapeake area, the foundation/floor needed to be reinforced to support heavy items. The homeowners also requested a flooring surface that is easy to clean. Maryland Curbscape formulated a plan with the homeowners. 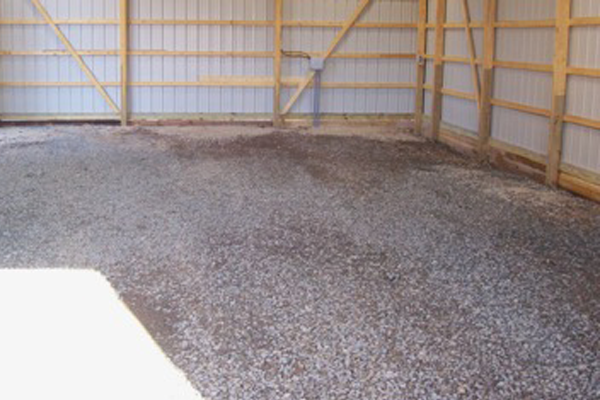 First, we completely excavated the floor and installed a compacted solid stone base. Next, we reinforced the flooring with a steel reinforced grid. The combination of these two will serve to reinforced the concrete. 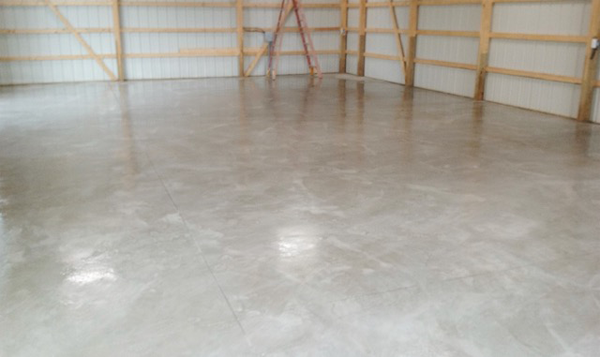 The completed concrete flooring Maryland Curbscape installed. Finally, we completed the project by finishing the floor with a smooth surface that looked great and was easy to clean. All the doors can be opened and the dirty can easily be hosed out of the facility. If you are interested in constructing a work area on your property and have questions regarding workshop flooring, contact Maryland Curbscapes. Our skilled and knowledgeable contractors will work with you to formulate the perfect solution for you.